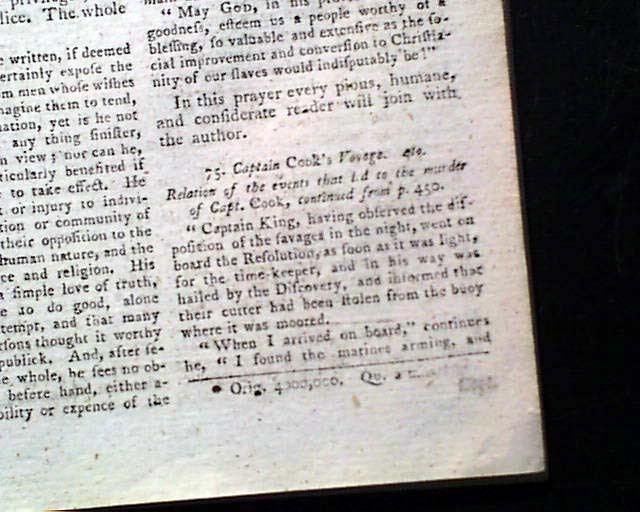 Certainly the most interesting content in this issue is the great & lengthy text (continued from the June issue) on a review of a new publication, headed: "Captain Cook's Voyage--Relation of the events that led to the murder of Capt. Cook...". 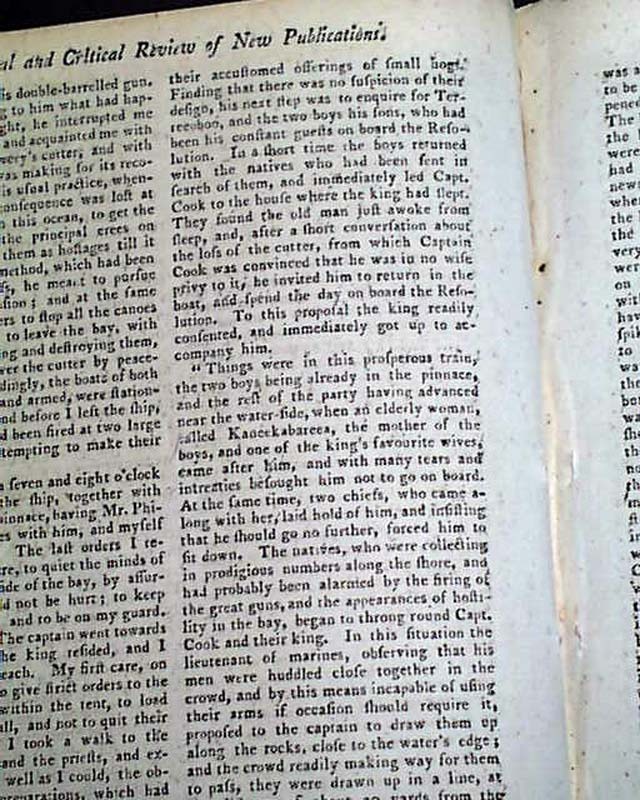 This report takes nearly 3 pages, portions seen in the photos, and includes the details of the murder of Capt. 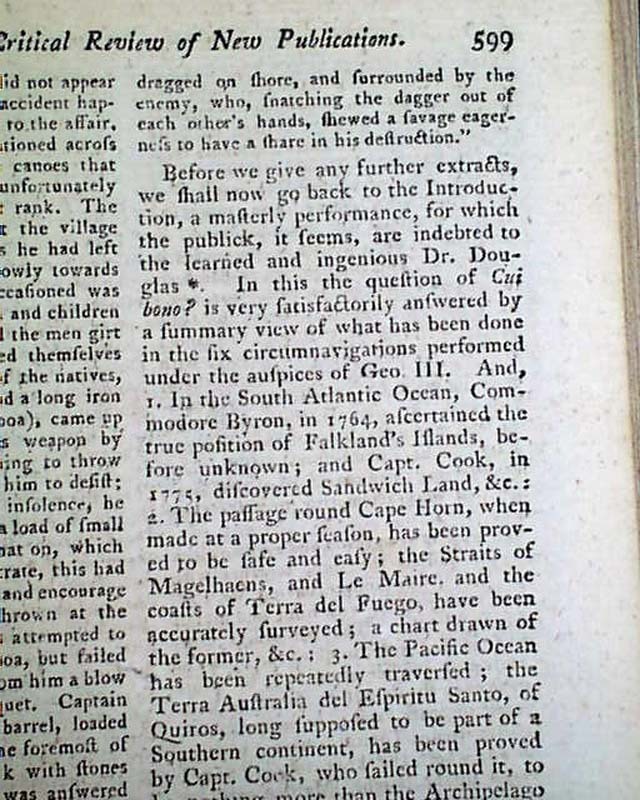 Cook by the natives of Hawaii: "...What followed was a scene of the utmost horror & confusion...having turned about to give his orders to the boats, he was stabbed in the back & fell with his face into the water. 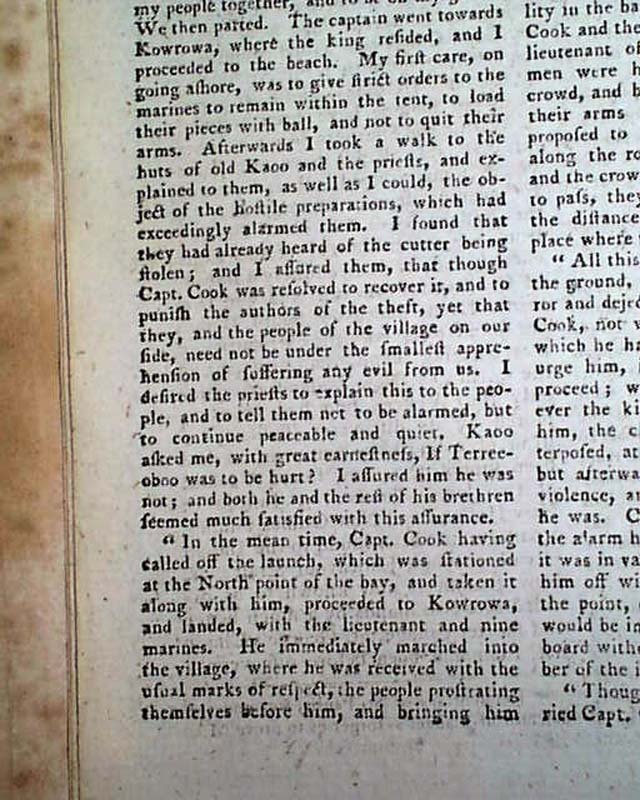 On seeing him fall, the islanders set up a great shout & his body was immediately dragged on shore & surrounded by the enemy, who, snatching the dagger out of each other's hands, shewed a savage eagerness to have a share in his destruction...". 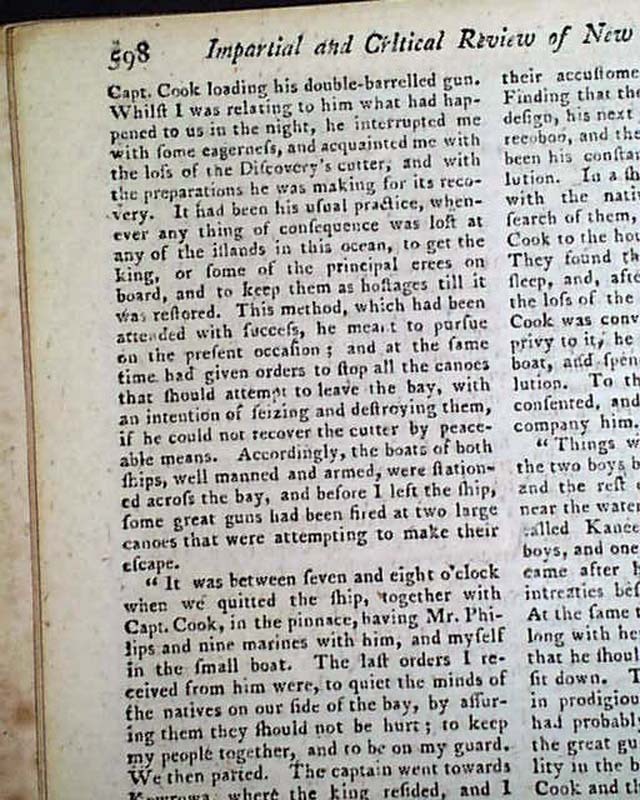 At this point the article reverts to an overview of Cook's life, which is continued in the September issue. 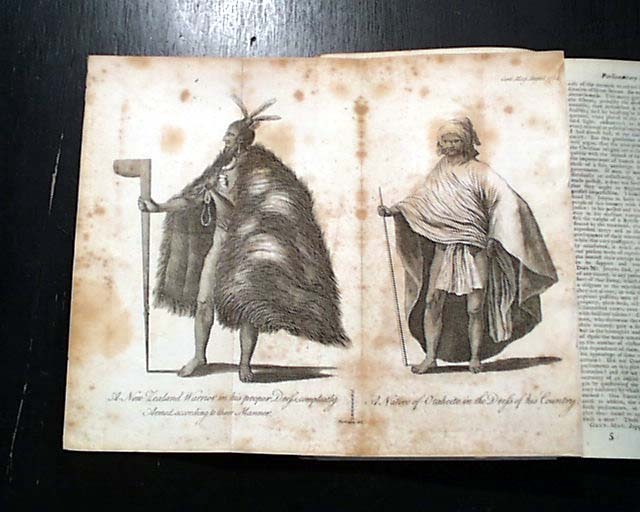 This issue also includes the rare foldout plate showing: "A New Zealand Warrior in his proper Dress..." as well as a full-figure view of: "A Native Of Otaheite [present-day Tahiti] in the Dress of his Country" which has foxing and 2 library stamps on the blank reverse. 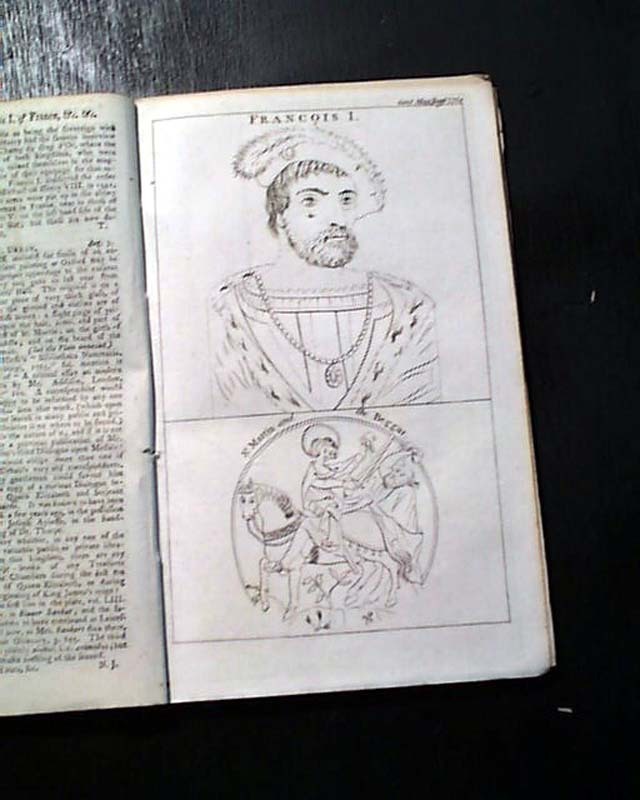 Included also is the other plate called for: "Francis I. of France". 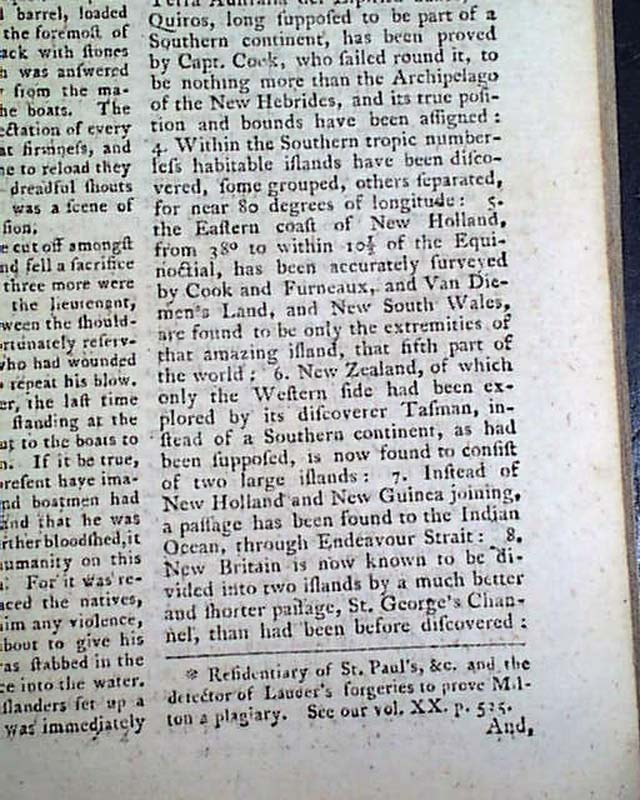 Among other articles within this issue of interest are: "Original Discoverer of Volcanoes in the Moon" "King Francis I of France" "Story of Quashi, an African Slave" "Ramsay on African Slavery", much on "Summary of Proceedings in the last Session of Parliament", and also: "Advices from America". 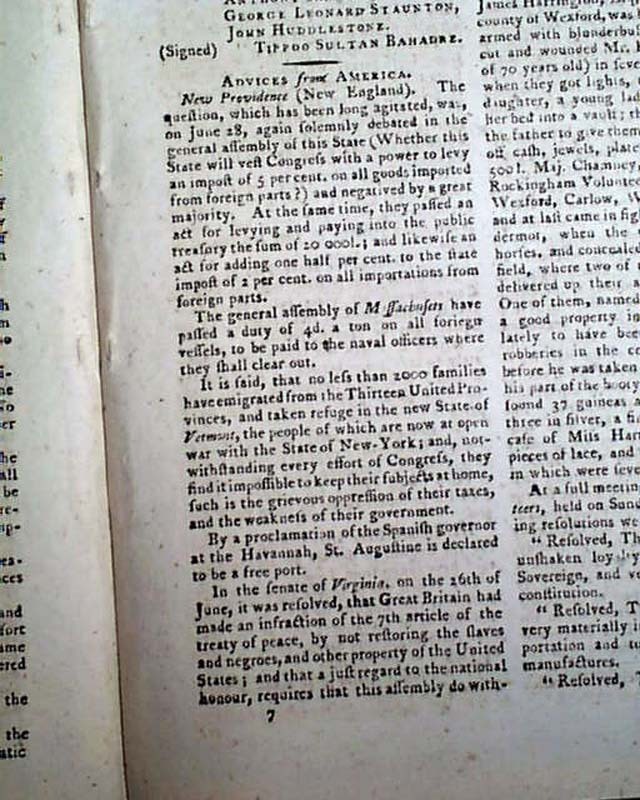 Complete in 80 pages, 5 1/4 by 8 1/4 inches, full title/contents page, close cut along the right margin of the front leaf only, otherwise in good condition. 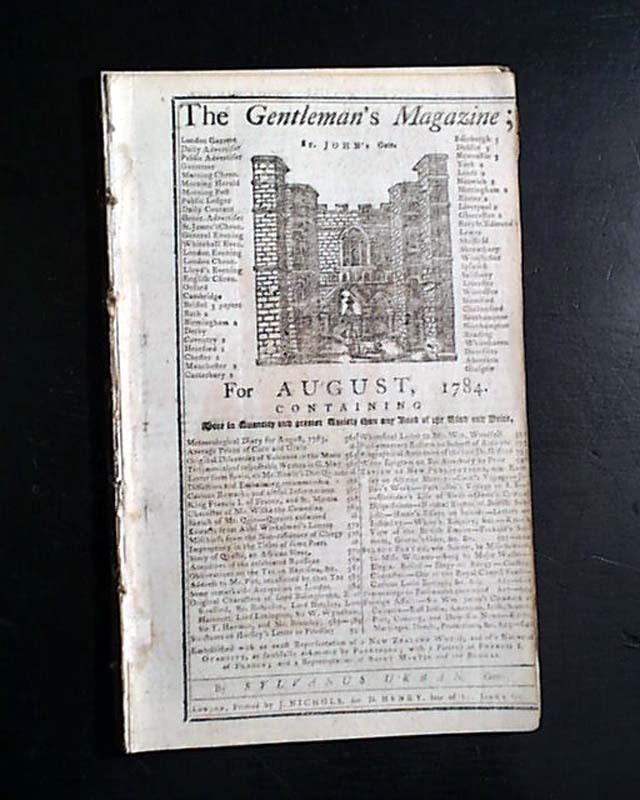 This periodical was the first ever to use the word "magazine" in its title.